You Say It's Your Birthday, It's My Birthday Too! | The Occupied Optimist : You Say It's Your Birthday, It's My Birthday Too! I guess it's that time of year again; the time to celebrate me and my birth with lighting food on fire, with listening to the same song get sung to me multiple times in one day in questionable pitch, and responding back with two words to all those Facebook comments left on my wall from people who rarely exchange conversation with me on a normal basis. Yay! It is great to be reminded that I am loved. Thanks to all of you for the love you've shown and for all and sweet birthday wishes, and inexpressible thanks to GOD for His faithfulness in my life. I feel like June is a popular month for birthdays! 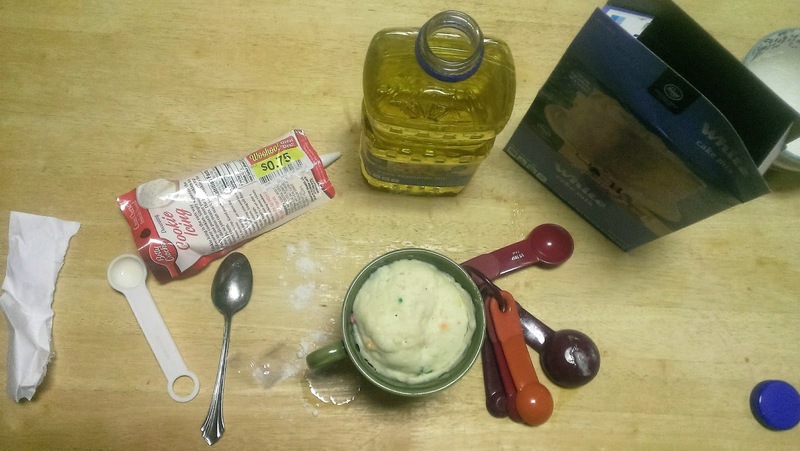 Check out this fun, easy-to-make-and-in-no-time, recipe. 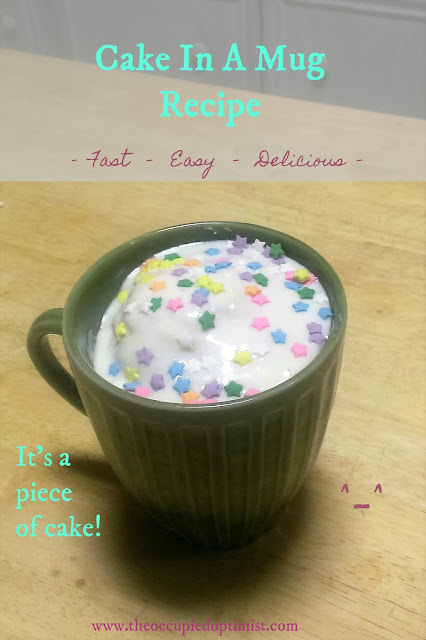 If not for yourself, I'm sure you could think of some birthday girl or boy to whip this adorable recipe up for! Spray a microwavable mug with cooking spray. In a separate bowl, combine cake mix, egg, oil, and water and mix well . Add sprinkles folding them well into the mix. Pour mix into mug and microwave it for about a minute. 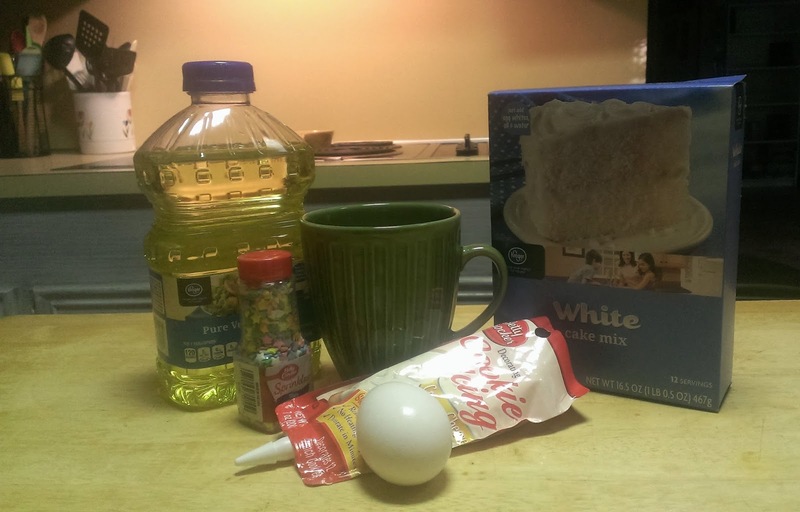 Cake mix with rise and about double in size. Cake is done when toothpick inserted in center comes out clean. 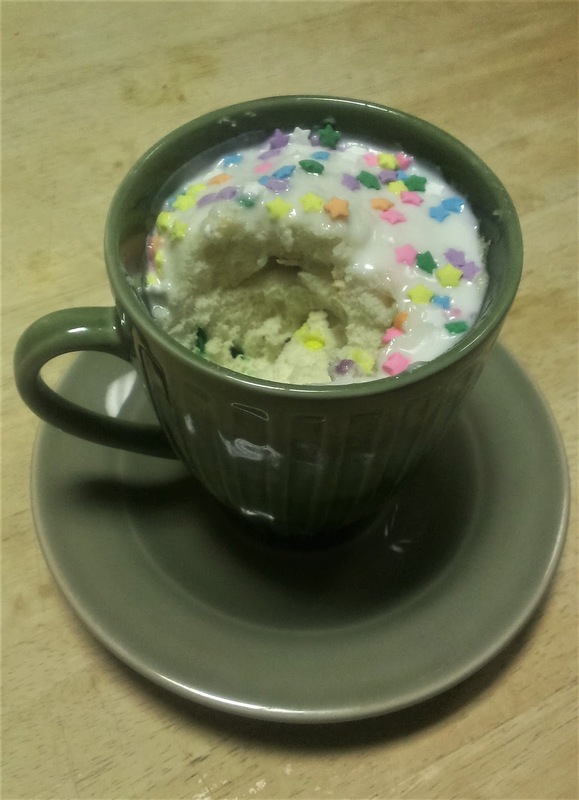 Let it cool down for several minutes before adding frosting and garnishing with sprinkles. Note: I actually slightly altered the ingredient measurements in order to fill my mug of such large size. Have fun experimenting with measurements and ingredient proportions. It's hard to mess this one up! comment, follow, and subscribe and don't be shy! Thanks for stopping by! Check out these 7 ways to get free stuff on your birthday!